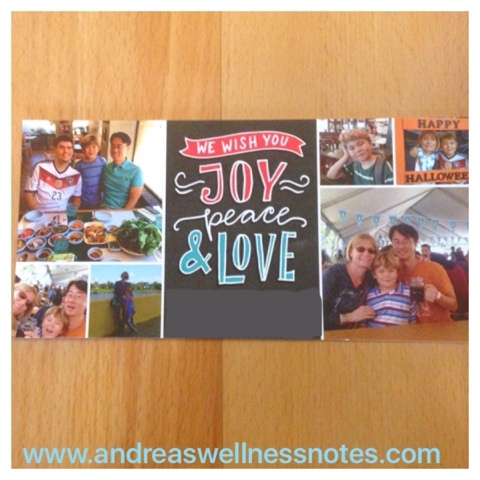 Aww, what a sweet Christmas card :) Happy Holidays, Andrea! Thanks, Jessie! And CONGRATULATIONS!!!! I saw your announcement on FB but will check out your post right now! What a very special XMas you had this year! Merry belated Christmas and a happy new year! Wishing you and yours all the best, Andrea! Thanks, Alecz! Wishing you a very Happy 2016 as well! Thanks, Biz! Yes, I can't believe he is 8!!! He was just a toddler when I started this blog! Sweet card! I love those personalized photo cards!